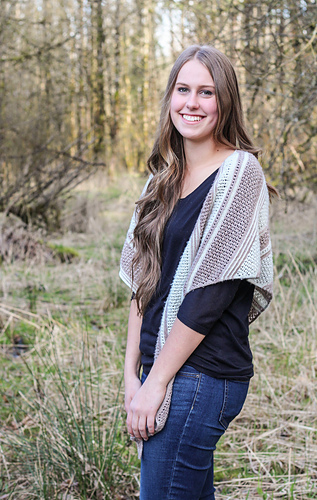 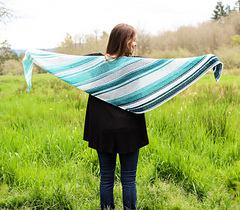 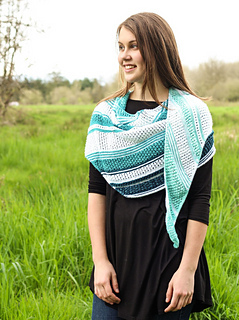 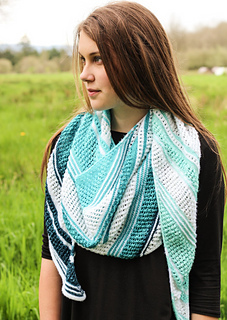 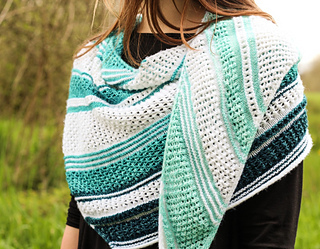 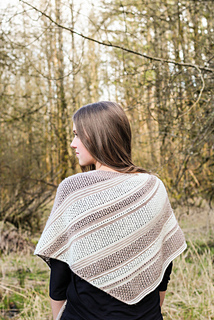 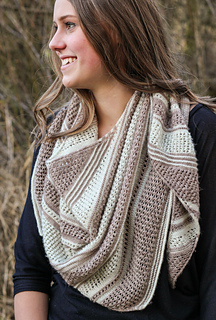 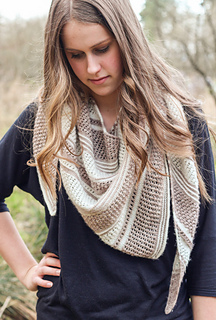 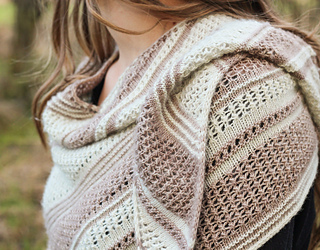 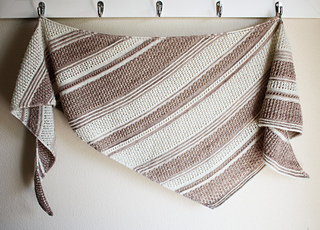 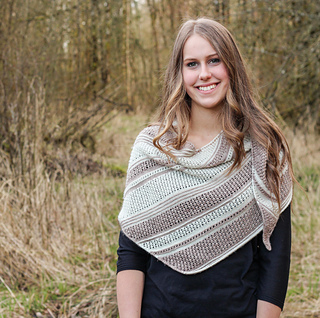 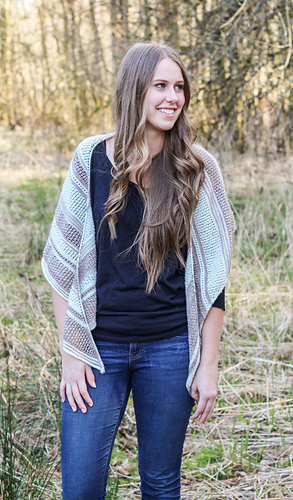 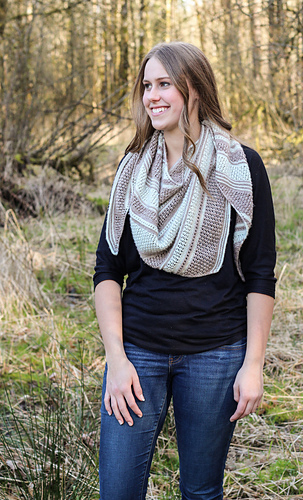 This lovely shawl combines simple lace, garter stitch stripes, and sequential color changes to create a textured fabric that just glows. 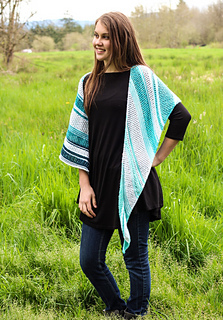 Knit corner to corner, it takes on a fun asymmetrical shape, and the abundance of open lacework makes it as light as “aire”. 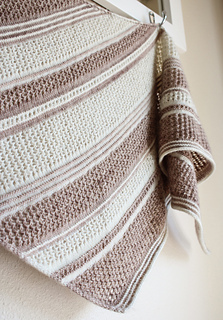 Techniques used: Increases, Decreases, YO, Integrated I-cord Edging, I-Cord BO.